Drift Limits Motorsport Academy offers an exclusive opportunity, giving just you, our fleet of cars and the entire Drift Limits circuit to play with. Focusing on enhancing your driving skills through a greater understanding of the way the car behaves when oversteering and understeering, as well as during braking, turn in, and exiting – the Motorsport Academy will take your car control to a higher level. With theory tuition as part of the package, participants can learn more about racing lines and cornering techniques, braking points and other tips for a competitive driving edge. 1:1 tuition ensures careful attention to your personal driving style, and the whole day can be tailored to your specific needs. 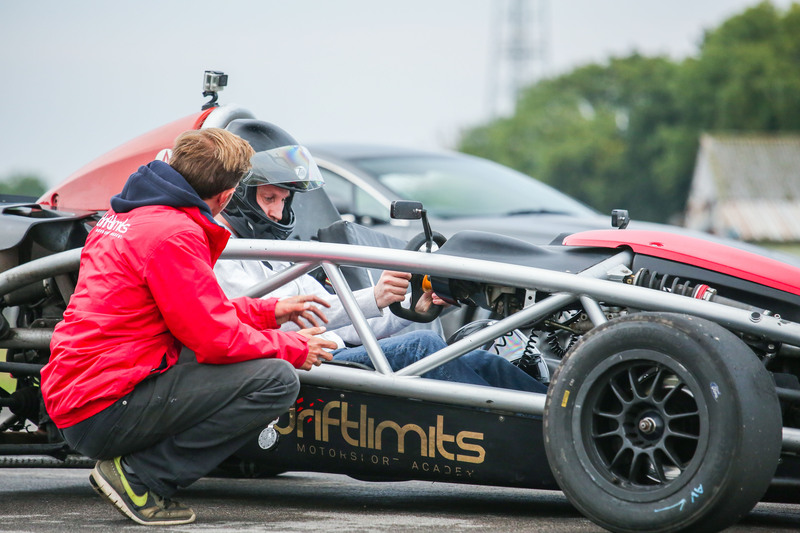 We now offer our cars for rental with one to one tuition by a qualified Drift Limits instructor – we will meet with you at a track of your choice and provide track-side support throughout the day. Please contact us for a quotation for this service. If you are interested in any of our driving experiences, please take a look at our experiences page for a full selection of what we have on offer. Here you will be able to view the current dates available and redeem any vouchers you may have. We look forward to seeing you soon!